Haddon Heating & Cooling is a family owned and operated HVAC business with over 30 years of experience installing and repairing energy efficient heating and cooling systems in homes through out Northern California. 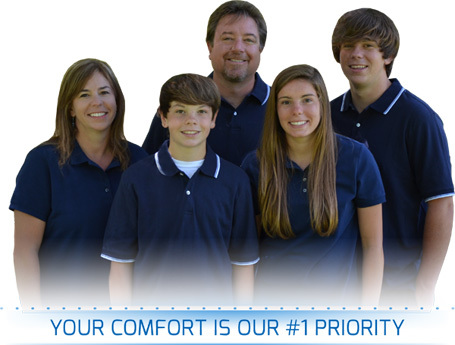 Owners Dave and Kim Haddon want you to be comfortable 365 days a year because that’s just what they want for their own family. The Haddon’s are 100% committed to providing you with the expert service you need, delivered with the utmost respect for your time and your home. Haddon Heating & Cooling technicians are experts at heating system and furnace replacement. If your central AC unit is over 8 years old, replacing it could cut your cooling costs by 30% or more! Did you know that the average filter only removes 3-5% of the particles out of the air your breathing your home? 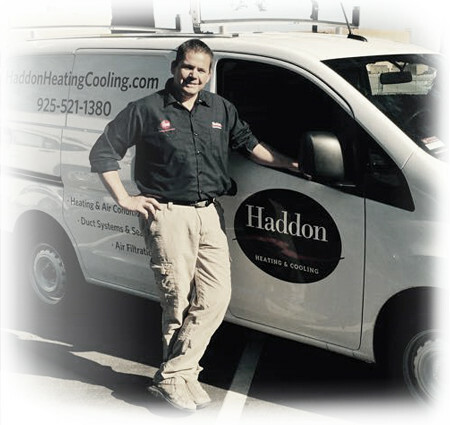 Haddon Heating and Cooling has been honored with the Rheem top contractor of the year award since 2008. We are Diamond Certified, A+ Better Business Bureau rated, with countless positive reviews on Angie’s List, Yelp, Service Magic, City Search, and many other websites. 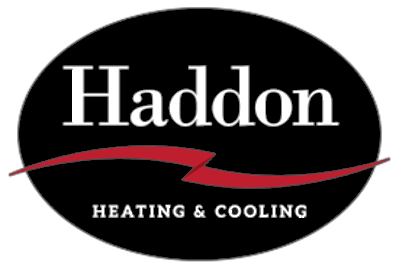 For more than 30 years, Haddon Heating and Cooling has been installing and servicing heating and air conditioning systems in the greater Bay Area. We use only the highest-rated systems, backed by a minimum 10 year warranty. At Haddon Heating and Cooling, our #1 priority is to make sure you are completely satisfied with every aspect of the job, from estimate to completion. Our Technicians are always on time and committed to your satisfaction. The Lyric can automatically adjust your heating and cooling systems when you leave, saving you on energy consumption and cost. 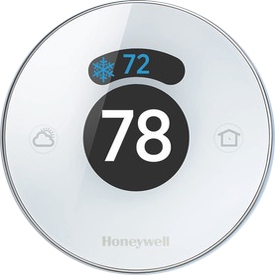 This ultra-modern thermostat even factors in humidity to ensure you’re feeling the exact temperature you want.. The Nest can be controlled by your phone from anywhere. You can set different temperatures for different times of the day and Nest will learn what you like in case you forget. 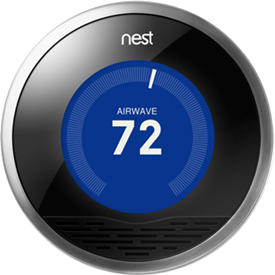 The “Nest Leaf” feature can even automatically make smarter climate control choices for you.. Please contact us with any questions or concerns you may have. We’ll get back to you as quickly as possible. To receive a free estimate on an energy efficient system for you home, please complete the form to the left.